Roger Christie (born June 15, 1949) is an American ordained minister in the Religion of Jesus Church, which regards marijuana as a "sacramental herb." In 2000, he founded the THC Ministry, which offered cannabis as a part of its services. On July 8, 2010, Christie and 13 other individuals associated with the THC Ministry were indicted by a Federal grand jury in Honolulu on marijuana possession and trafficking charges. On Sept. 27, 2013, Christie pleaded guilty to marijuana trafficking and two counts of failing to file income tax returns. On April 28, 2014, Christie was sentenced to a term of five years in federal prison, with credit for time already served at the Honolulu Federal Detention Center. Roger Christie was born on June 15, 1949, in Steamboat Springs, Colorado. Raised and schooled in the New Jersey countryside in the 1950s and 1960s, he graduated from high school in 1967. 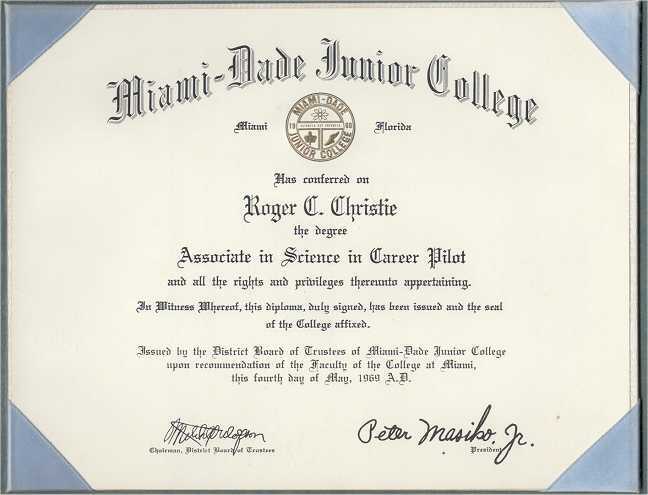 After two years of college studies and flight training school in Miami, Florida he received an associate's degree in Science and a Commercial Pilot certificate. In 1970 he enlisted in the US Army and was trained as a G2 Intelligence Analyst at Fort Holabird, Maryland, a US Army "spy school", but became disenchanted by the military and political missions in Vietnam and elsewhere. Christie refused his orders to serve in the Vietnam War and received an honorable discharge as a conscientious objector. His success in this process inspired him to pursue legal options to overturn United States drug policy, a fight which has led him to numerous court battles and arrests. In 1986, he became a resident of Big Island, Hawaii. He was a co-founder of the Hawai'i Hemp Council in 1990 and, with Aaron Anderson (Ernest Allan Anderson), and Dwight Kondo, founded the Hawaiian Hemp Company. By 1991, he had one of the first retail hemp stores in the world. In 1996, Christie ran unsuccessfully for a seat on the Hawaii County Council. In June, 2000, he was ordained as a minister by the Religion of Jesus Church through the Universal Life Church. He received his license to perform marriages in the State of Hawaii as a "Cannabis Sacrament" Minister and founded the THC Ministry. In 2004 he failed in an election bid for Mayor of Hawaii County. Christie ran the THC Ministry (aka Hawaii Cannabis Ministry) in Hilo, Hawaii for ten years. According to the Ministry's website, "We use Cannabis religiously and you can, too." For a $50 donation, a person could become a "Practitioner" and receive a plaque, an "affidavit of religious use", two ID cards, and seven "Sacramental Plant Tags". For $250, the donor would get a "Sanctuary Kit" which also included the "THC Minsitry [sic] Cannabis and Religion Guide". According to Christie, "We have cannabis here that people can donate for if they are 'blue card' (medical marijuana permit) holders or members of the ministry." According to the FBI, an estimated 90% of the customers were Ministry members, while the remaining 10% had state medical marijuana cards. In order to join the Ministry, prospective members were supposed to sit through an orientation session with Roger Christie. However, Roger Christie said he scheduled membership sessions with passengers on visiting cruise ships who were in Hilo for one day, and one could also join by ordering a Ministry "sanctuary kit" by mail for a $250 "donation." In 2009, the ministry was open three days a week from 2:00 to 5:00 p.m. During this three-hour period, there were up to 70 customers served, and the Christies sold over one-half pound of marijuana "sacrament," making about $1,000 or more in profit. There were "suggested donation" prices such as $50 for one-eighth ounce, $100 for one-quarter ounce, and $400 for one ounce. When one customer complained during an intercepted call that the quoted "donation price" of $400 an ounce was rather high, Roger Christie justified this amount, stating "It's retail," and "Normal retail. You know, we buy it, you know, at forty-five hundred, five grand a pound, so…." At these rates, donations to Christie's ministry in exchange for marijuana would amount to about $500,000 per year. In 2008, an undercover law enforcement officer was introduced to Roger Christie, and on three separate occasions at the ministry, Christie sold quantities of marijuana to him (the largest being one-half pound). Thereafter, a court-authorized wiretap on three telephone lines used by Roger Christie from April to July 2009 resulted in the interception and recording of numerous telephone conversations involving Roger and Sherryanne Christie, ministry employees, and other persons. According to Christie, investigators monitored 17,000 phone calls during a two-year period. On March 20, 2010, Federal agents raided the downtown Hilo sanctuary of Christie's Hawaii Cannabis Ministry, assisted by local police. Christie said authorities spent about seven hours searching his home and ministry, starting around 6 a.m. He said the Drug Enforcement Administration, Internal Revenue Service, U.S. Postal Inspector and U.S. Immigration and Naturalization Service were involved in the search. A three-count sealed indictment in June, 2010 charged Christie with conspiracy to manufacture, distribute and possess with intent to distribute more than 100 marijuana plants, manufacturing marijuana and possession with the intent to distribute 240 marijuana plants. Christie was arrested on Thursday July 8, 2010, along with 13 others from the Big Island, and charged with possession and sale of cannabis. According to court documents, authorities confiscated approximately 30 ounces (845 grams) of processed marijuana in the Wainaku apartment and more than $34,000 cash from the apartment and a bank safe deposit box. The money and the apartment face possible federal forfeiture. Christie's arrest culminated a two-year investigation by federal and county law enforcement during which they seized 2,296 marijuana plants, nine weapons, 33 pounds of processed marijuana, and four properties from Christie and his co-defendants. Federal authorities said this was a huge pot-growing and selling organization masquerading as a religious group. Agents seized about 3 thousand plants with a street value of nearly $5 million. After his arrest, Christie was taken to Oahu and incarcerated at the Honolulu Federal Detention Center. All other detainees were speedily released on bail or signature bond before trial. But Hawaii Federal District Court Judge Alan Kay ruled that Christie must remain in federal custody until his trial. The prosecution argued that Christie should not be released on bail because he is a danger to the community. The court accepted this argument because marijuana was found again in a new search of Christie's home in June 2010, leading the court to conclude that Christie would continue to violate the law while out on bail. As quoted in the Star-Advertiser on Feb. 24, Judge Alan Kay remarked: "You would think the light would come on when the first search of his residence was made." Judge Kay's ruling was upheld by 9th US Circuit Court of Appeals. On Jan. 17, 2013, a federal grand jury in Honolulu returned an updated indictment against Christie and seven co-defendants. The indictment includes additional charges for three sales of marijuana to an undercover officer during 2008 and two charges of his failure to file income tax returns for 2008 and 2009," Assistant U.S. Attorney Michael Kawahara, the lead prosecutor, said. On March 21, 2013, The Hawaii Senate Committee on Public Safety, Intergovernmental and Military Affairs heard and passed Senate Concurrent Resolutions SCR75 and SR42, "urging the federal government to release Roger Christie pending trial." During the proceedings, Senator Sam Slom and Senator Russell Ruderman both spoke in support of passing the resolutions onto the senate for a full hearing. Sen. Clayton Hee, the Chair of the Senate Judiciary Committee, acknowledged that there were "many testimonies in support" of the resolutions. Nevertheless, Senator Hee deferred the resolutions. Another 2013 Hawaii Senate Resolution, SR12, called on President Obama to "initiate a formal investigation into the conduct of federal law enforcement personnel in regard to the violation of the constitutional rights of Hawaii County Resident, the Reverend Roger Christie." SR12 was never scheduled for a hearing. Christie faced up to 40 years in a federal penitentiary if convicted at trial. He was represented by a public defender. While Christie was awaiting trial, six co-defendants made plea deals with the prosecution to cooperate with authorities. On September 27, 2013, Christie made a deal with prosecutors to plead guilty in federal court to conspiring to manufacture, distribute, and possess with intent to distribute 100 or more marijuana plants. His wife, Sherryanne Christie, pleaded guilty to a similar charge but involving 50 plants or more. As part of a plea agreement, the Christies agreed to forfeit more than $21,000 in proceeds from the operation of the THC Cannabis Ministry, which operated in Hilo from 2000 until July 8, 2010, when they and 12 others were arrested. Roger Christie also agreed to forfeit a condominium apartment on Kauila Street in Hilo which was used to facilitate their marijuana trafficking activities. The prosecution resulted from the combined efforts from 2008-2010 of the Drug Enforcement Administration; the Internal Revenue Service-Criminal Investigations; Homeland Security Investigations; the Federal Bureau of Investigation; the Bureau of Alcohol, Tobacco, Firearms, and Explosives; the U.S. Postal Inspection Service; the U.S. Marshals Service; the National Park Service; the Sheriff's Office, Department of Public Safety; the Hawaii Police Department; and the Honolulu Police Department. The case was prosecuted by Assistant U.S. Attorney Michael K. Kawahara. ^ a b "The 420 Times, July 9, 2010". Archived from the original on 2010-07-13. Retrieved 2010-07-10. ^ "Welcome to the Religion of Jesus Church". Archived from the original on 2010-12-30. ^ a b "Cannabis Minister Roger Christie Sentenced to Five Years". ^ "Office of Elections". Hawaii.gov. Retrieved 2016-11-26. ^ "Cannabis Culture Magazine, March 14, 2010". ^ "THC Ministry: The Hawai`i Cannabis Ministry". ^ "Honolulu Advertiser, March 12, 2010". Archived from the original on March 31, 2010. ^ a b c "BigIsland Marijuana 'Ministry' Operator Pleads Guilty to Drug and Tax Offenses". ^ "Feds Reveal Sham of 'THC Ministry'". ^ "Christie Encourages Support for Bill Urging Feds to Release Him Before Trial". Hawai`i News Daily. 2012-02-10. Retrieved 2016-11-26. ^ "West Hawaii Today, March 11, 2010". ^ "Honolulu Advertiser, March 12, 2010". ^ "Officials Unveil Hawaii Marijuana Case, July 12, 2010". ^ "US HI: OPED: The Case of Roger Christie: An Object Lesson in". Mapinc.org. 2013-03-20. Retrieved 2016-11-26. ^ "420 Magazine, September 6, 2010". ^ a b c "Christie faces more charges". Hawaii Tribune-Herald. Archived from the original on 2013-03-02. Retrieved 2016-11-26. ^ a b "SCR75, URGING THE FEDERAL GOVERNMENT TO RELEASE ROGER CHRISTIE ON BAIL PENDING TRIAL". ^ a b "SR42, URGING THE FEDERAL GOVERNMENT TO RELEASE ROGER CHRISTIE ON BAIL PENDING TRIAL" (PDF). ^ "Committee on Public Safety, Intergovernmental and Military Affairs passes SCR75, March 21, 2013" (PDF). ^ "SENATOR RUSSELL RUDERMAN AND SENATOR... - Senator Russell Ruderman". Facebook. 2013-04-03. Retrieved 2016-11-26. ^ "Testimony to Committee re: SR42, April 10, 2013" (PDF). ^ "Late Testimony to Committee re: SR42, April 10, 2013" (PDF). ^ "Testimony to Committee re: SCR75, April 10, 2013" (PDF). ^ "Audio Transcript: Hawaii Senate Committee Hearing Roger Christie Resolutions, April 10, 2013". ^ "AP: Senator rejects resolutions to free pot minister Roger Christie, April 10, 2013". ^ "SR12, REQUESTING PRESIDENT BARACK OBAMA, OF THE UNITED STATES OF AMERICA, TO INITIATE A FORMAL INVESTIGATION INTO THE CONDUCT OF FEDERAL LAW ENFORCEMENT PERSONNEL IN REGARD TO THE VIOLATION OF THE CONSTITUTIONAL RIGHTS OF, HAWAII COUNTY RESIDENT, THE REVEREND ROGER CHRISTIE". ^ "PDF version of SR12" (PDF). ^ "Star-Advertiser, July 16, 2010". ^ "Christie receives 5 years". ^ "Couple that spearheaded marijuana ministry sentenced to prison". Archived from the original on 2015-07-08. ^ "Roger Christie Released to Halfway House". Archived from the original on 2014-10-15. Retrieved 2014-10-09. ^ "THC Minister Roger Christie Released to Halfway House". Archived from the original on 2014-10-04.